Playing the bin is almost a forgotten art in the Subcontinent today, binkar are well-nigh an extinct species, and consequently the manufacture of the instrument has met with a similar fate. 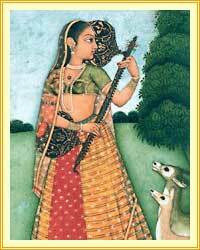 The city of Miraj (in Maharashtra), renowned among musicians for its craftsmen specialised in the manufacture of the sitar and the tanpura, was home till some time ago to a few instrument makers who occasionally made traditional bin. a bin that is being made. Towards the second half of the 19th century, Calcutta became a renowned centre for instrument making, and, to date, it has retained that reputation. 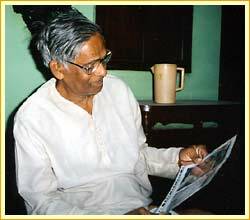 Murari Mohan Adhikari is today the last representative of a Calcutta-based family of instrument makers that became famous in the 1930s under the name of Kanailal and Brother. 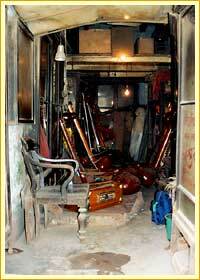 Hailed for the quality of its instruments, this workshop, founded in 1882 by Damodar Adhikari, Murari’s grandfather, mainly produced sitars, surbahar and bin (as well as sarod and esraj) for the greatest of instrumentalists (Enayet Khan and his sons Vilayat and Irmat Khan, Mushtaq Ali Khan, Ravi Shankar). See also Steve Landsberg's site Ragascapes. The different constituent parts of a bin before assembly. 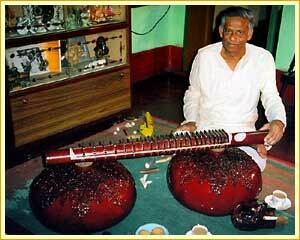 In 1960, in association with Ustad Zia Mohiuddin Dagar, Murari crafted a bin whose teak-wood tube, wide frets and massive resonators – not to mention the sizeable string section and its tension – gave the instrument a timbre reminiscent of the human voice, exactly as Z.M. Dagar sought. 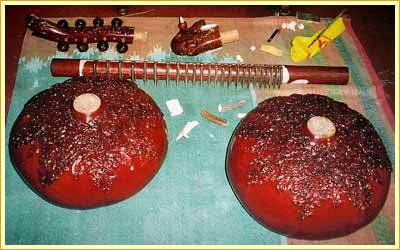 Because of the increased weight (7 to 8 kilos) of the instrument, Ustad Zia Mohiuddin Dagar adopted a playing position similar to that of the southern sarasvati vina players. In the early 1980s, Murari also made a traditional bin for Asad Ali Khan. Govinda in the workshop on Chitpur Road. For forty years, Murari and his cousin Govinda followed in the footsteps of their father and grandfather, crafting numerous instruments that are today scattered across the globe, some among them preserved in museums. preserved at the Musée de la Musique in Paris. The workshop in Chitpur Road closed its doors for good in 1995 and Murari and Govinda were unable to pass on their knowledge and craft to a new generation. 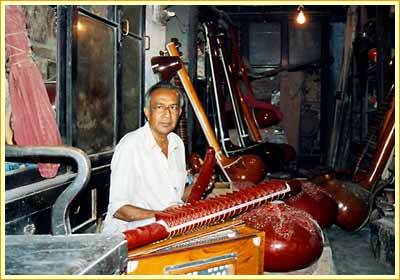 Though retired now, Murari still makes and repairs a few instruments on demand – and depending on his mood. It is, alas, very likely that when he lays down his tools for good, a vast and matchless quantity of experience and skills will be lost forever.